After flood waters recede and everything in sight looks dry, you might be ready to move on with life. However, here at Josh Smalling Roofing and Restoration, we know that not everything that appears hunky dory is always good. Water damages many things from possessions and furniture to flooring and walls. Hidden damage behind the walls and under the carpet can be structural and, often, the flourishing habitat of mold. Mold is not only bad for the structural health of your home or business. It can also be bad for the health of the living creatures – family and pets – who reside or work in the buildings. 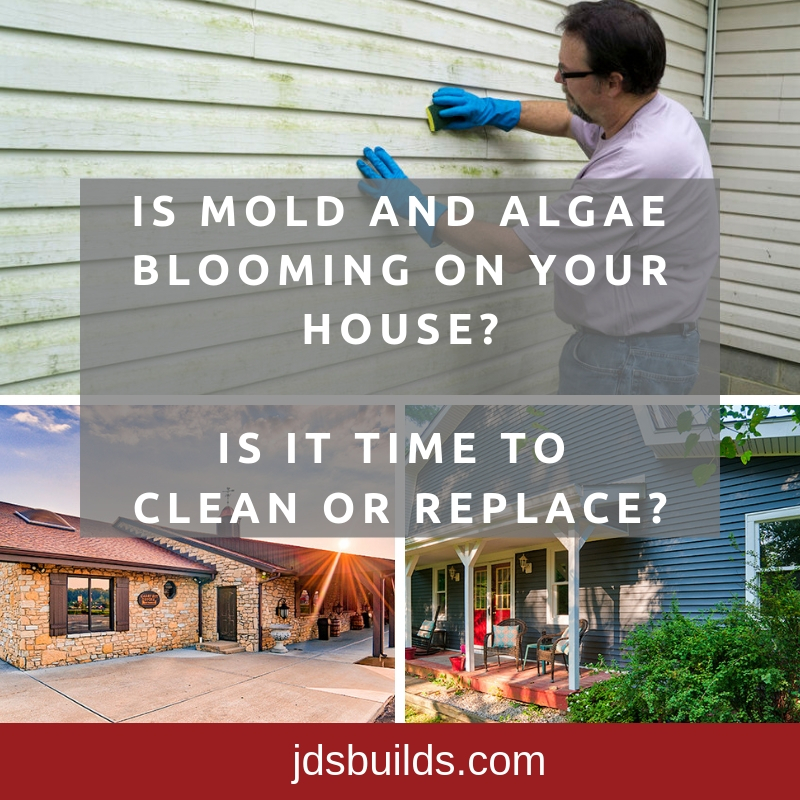 Let’s look at the two most important aspects of mold growing in your property. Part 1. The affect of mold on the building structure. The bones of most of the interior walls of a structure are comprised of wood. 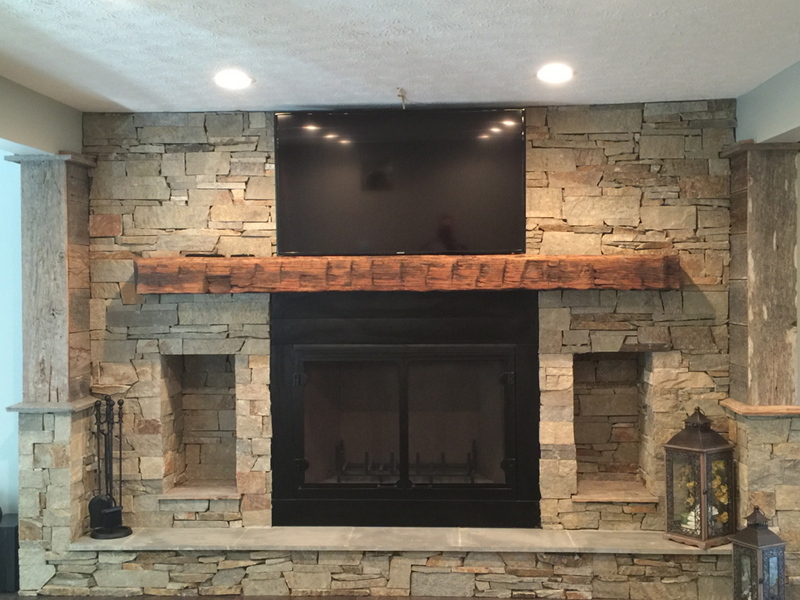 Wood is an organic material and once mold begins to grow, it takes root and thrives. This is especially true if a moist and warm environment is maintained. Don’t be fooled when it appears that all the water from a flood has dried up. The space between walls and into attics and under floors can stay damp. That provides a perfect habitat for it to grow. In the early stages, mold can sometimes be eliminated with a mold-killing solution and time to dry out completely. Other times, professional abatement can remedy the situation. If mold is allowed to grow over time, the wood, as an organic food source, will be completely devoured and must be removed and replaced. You could think that because concrete is not an organic material, it would not be susceptible to mold colonies. That does make sense, however, the nooks and crannies of concrete allow for dust and dirt to settle. This dust and dirt can be a source of nutrients for mold. The other issue with concrete is that it absorbs and retains moisture for a long, long time. By the time you actually see mold growing on concrete, the concrete has probably been moist for a while. A mold-killing solution can be used to kill the evident mold. However, the key to prevent recurring growth is to get the concrete completely dry and that can be a task. Every kind of insulation used is porous and traps dust and dirt. So, while insulation is again, not an organic source of nutrients for mold, it provides an environment for mold to live. 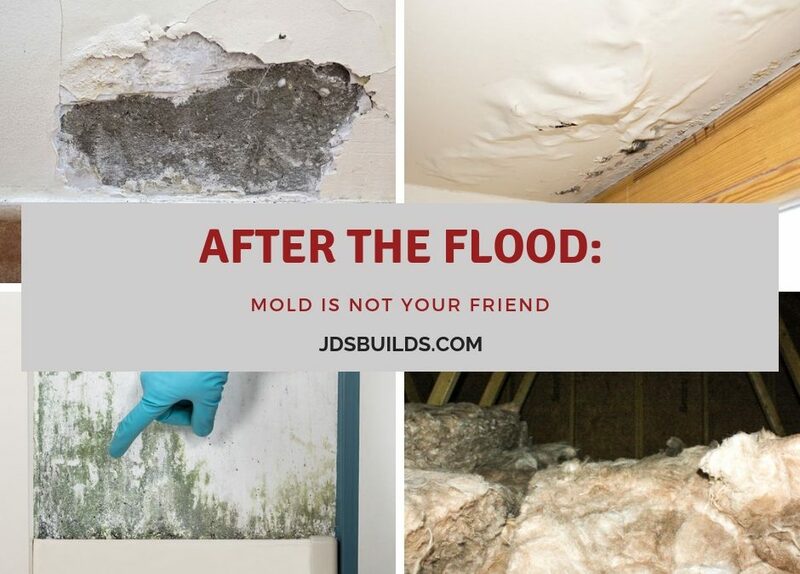 The general consensus of most every building and mold expert around is that any insulation affected by mold should be thrown away and replaced. Of course, you will want to be sure that the area where the insulation was doing its work is also mold-free before replacing the insulation. Otherwise, you are just giving mold spores a new home. Part 2. The affect of mold on living beings. The Center for Disease Control (CDC) explains that there is always some mold everywhere you go. It’s in the air and on surfaces. Since mold is one of the oldest living organisms it has been on the earth for millions of years and since water is it’s essential nutrient, it grows everywhere on earth. Some people are sensitive, or allergic, to mold. It causes them to have a variety of symptoms such as throat irritation, nasal stuffiness, coughing or wheezing, eye irritation and possible skin irritation. Immune-compromised people who are exposed to spores can develop long-term and serious conditions and chronic lung diseases. Other people, who don’t usually respond to allergens can also be affected, mostly with upper respiratory symptoms. What might look like a cold in healthy children and adults could be a response to mold growing in their environment. Symptoms that don’t clear up over a long term in otherwise healthy people should trigger an investigation for mold. Another key indicator is when symptoms are triggered in some locations but not in others. Left without treatment or the identification and removal of growing mold even a healthy person can develop chronic illness. Mold can affect animals’ health in much the same way. If your pet develops any of the symptoms that people are experiencing, pay attention. In fact, in some situations, it could be the family pet that is the “canary in the coal mine” and brings its presence to your attention. When water has invaded your living space or business, you see it as a disaster. We agree, it is disruptive and damages your home or business. But we also know that it is important to get all the way through everything that is damaged in order to restore the building and bring normalcy back to your life. Here at Josh Smalling Roofing and Restoration, we keep digging deeper until we know that all the repairs necessary are completed. When we are done, there is no chance of a lurking bit of mold to begin growing again. Our experience with water damage repair and restoration means you can feel certain the completed project will be safe and healthy for your family and employees. Contact us at 317-483-3093 or through our website when water or mold has created a problem in your home or business. We will help you navigate the insurance claim, investigate the damage, and make the repairs you need. 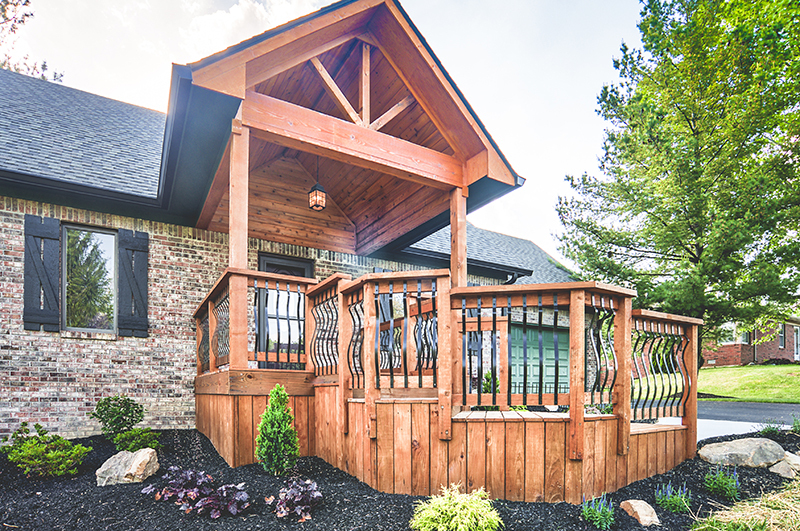 Our design team can help you turn the nightmare into a dream come true. We believe in silver linings.